“1) (cos. Cumberland, Essex, Northumberland, and London). Az. three storks rising ppr. Crest—Out of a ducal coronet or, a lion’s gamb ppr. grasping a club gu. spiked gold. Another Crest—A stork rising ppr. in the beak an olive branch vert. 2) (co. Kent). Per pale gu. and vert a tent or, on a chief of the third a fret betw. two crescents sa. 3) (Teede, co. Lancaster). Gu. two bars humettee ar. 4) (cos. Lancaster, York, and London), Barry of six erm. and sa. a lion ramp. or. Crert—A stork close ar. in the bill an oak leaf vert. 5) (London). Paly of six gu. and vert a tent ar. poled and garnished or, on a chief of the last a fret betw. two crescents sa. Crest—An arm embowed in armour, garnished or, holding a battle axe sa. (another, holding in the hand ppr. a maul or beetle sa. handled ar.). 6) (East Beckham and Thorpe, co. Norfolk; granted 1591). Paly of six ar. and sa. on a chief of the first a fret betw. two crescents of the second. Crest—A stork ar. beaked, legged, and ducally gorged gu. 7) (Sandgate Lodge, co. Sussex). Gu. three keys fesseways in pale or, in chief a portcullis of the last. Crest—A pelican vulning herself and feeding her young ppr. gorged with a mural crown or. Motto—Coelestes pandite portae. 8) (Shalford, co. Surrey, and Sullington, co. Sussex; of Scotch extraction). Gu. three keys fesseways in pale or, in chief a portcullis of the last. Crest—A pelican vulning herself and feeding her young ppr. gorged with a mural crown or. Motto—Coelestes pandite portae. 9) (Swindon, co. Wilts). Az. three storks, wings expanded ar. 10) (co. York). Paly of six ar. and gu. on a bend sa. three escallops of the first. 11) (Staveley, co. York; confirmed 16 Jan. 1655). (Coome Abbey, cos. Warwick and Worcester; Sir Isaac Gibson, knighted 1674, d. 1706, buried at Worcester). Gu. a stork betw. three crescents ar. beaked and membered or. 12) (Yelland, co. Lancaster; settled in that country in the reign of James I., and, traditionally, derived from Scotland; the co-heirs, Sarah Gibson, d. unm., leaving her property to Gibson, of Myerscough; and Anne Gibson, in. William Wickham, Esq., co. York). (Myerscough and Quernmore Park, co. Lancaster). (Barfield, co. Cumberland; a younger branch of Gibson, of Myerscough). Az. three storks rising ppr. Crests—1st: A stork rising ppr. in his beak an olive branch vert; 2nd: Out of a ducal coronet or, a lion’s gamb ppr. grasping a club gu. spiked gold. 13) (Fun. Ent., 1641, Richard Gibson, a Justice of the Peace, co. Carlow, third son of Richard Gibson, Esq., of Arnwell, co. Notts). Az. three pelicans ar. wings elevated, beaked and legged gu. a martlet for diff. 14) (Fun. Ent. Major Seafoul Gibson, buried in St. Peter’s Church, Drogheda, 15 Jan. 1671). Barry of six erm. and sa. a lion ramp. or, on a canton gu. a castle of the third. 15) (Skirling, co. Peebles, bart., 1628). Quarterly, 1st, ar. a fess wreathed az. and gu. within a bordure of the last, for Carmichael; 2nd and 3rd, gu. three keys fessways in pale or, for Gibson; 4th, erm. on a fess. sa. three crescents ar., for Craig. Crests—1st: An arm embowed, holding a broken lance top pendent ppr., for Carmichael: 2nd: A pelican in her piety ppr., for Gibson. Motto—Coelestes pandite portae. 16) Gibson-Wright – (Cliftonhall, co. Linlithgow, and Kersie, co. Stirling, 1773). Quarterly, 1st and 4th, az. three keys paleways in fess or, wards downwards; 2nd and 3rd, az. a chev. betw. three battle axes or, all within a bordure of the last, for Wright. Crest—A dexter arm in armour, issuing out of a cloud and grasping a scymitar ppr. Motto—Pro rege saepe, pro republica semper. 17) (Durie, Scotland). Gu. three keys fesseways in pale or, the wards downward. Crest—A pelican in her nest feeding her young ppr. Motto—Pandite coelestes portae. 18) (Pentland, co. Edinburgh, bart.). Gu. three keys fessways in pale or, within a bordure vaire. Crest and Motto, as the last. 19) (Dublin; Collection of Molyneux, Ulster, 1597-1632, sheriff of the city of Dublin). Paly of six erm. and ar. on a chief of the last a fret betw. two crescents sa. Crest—An ostrich ar. beaked, legged, and ducally gorged gu. 20) (Milner-Gibson, Theberton House, co. Suffolk; Riuht Hon. Thomas Milner-Gibson, M.P., President of the Board of Trade, 1859 to 1866, only son of Major Thomas Milner-Gibson, 37th regt.. by Isabella, his wife, dau. 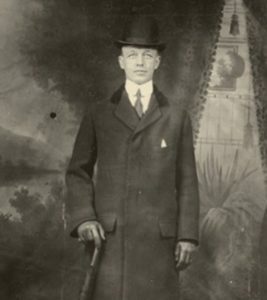 of H. Glover, Esq., of Chester,was b. 1806, m. 1832, Arethusa-Susanna. only dau. 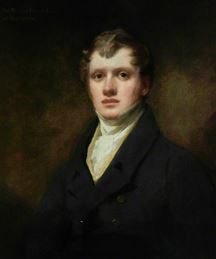 and heir of Sir Thomas Gery Cullum, 8th bart., of Hawstead and Hardwick, and had with other issue, Jasper Joseph Milner-Gibson and George Glry Milner Gibson-Cullum, (see Cullum). Az. three bridle-bits chevronwise or, betw. as many storks rising ar. Crest—A stork close ar. holding in the beak a branch of laurel ppr. resting the dexter foot on a bridle-bit or. This is a baptismal or patronymic (“son of”) surname deriving from the old personal (first) name Gib or Gibb, which is itself a pet form or nickname for Gilbert, a Norman name that was introduced into England after the Norman Invasion of 1066 AD, originally found in Europe as Gislebert or Gillebert, consisting of the Germanic elements gisil (hostage or noble youth) and berht (brigtht or famous). The book “The Surnames of Scotland and Their Origin, Meaning, and History” by George Fraser Black asserts that the ancestral home of the Gibson family is the Hebrides islands and the west coast of Scotland. The name was first established in Galloway, Scotland, where the family held land and titles. It is believed they descended from a chieftain named Gilbert (likely Gilbert, Lord of Galloway, died 1185 AD, son of Fergus) and they first settled in Lennox. A branch of the family tree later established themselves in the barony of Levin in Fifeshire and their descendants were Lords of Durie. The last name Gibson ranks 119th in popularity in the United Status as of the 2000 Census. The name ranks particularly high in the following eight states: Kentucky, West Virginia, Ohio, Virginia, Tennessee, Indiana, South Carolina, and Oklahoma. The surname Gibson frequency/commonness ranks as follows in the British Isles: England (107th), Scotland (55th), Wales (227th), Ireland (570th) and Northern Ireland (60th). In England, it ranks highest in counties Northumberland , Durham, Cumberland, and Westmorland. In Scotland, the surname Gibson ranks highest in Wigtownshire. In Wales, it ranks highest in Anglesey. In Ireland, it ranks highest in county Cavan. In Northern Ireland, it ranks highest in county Down. The name is also present throughout the remainder English speaking world: Canada (162nd), New Zealand (80th), Australia (118th), and South Africa (524th). The 1890 book Homes of Family Names by H.B. Guppy, states the following in regard to this surname: “A north of England name, best represented in the counties of Cumberland, Westmoreland, Durham, and Northumberland. 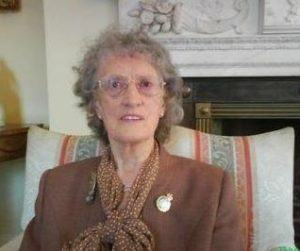 The Gibsons are also very frequent across the Scotch border in the counties of Berwick and Dumfries, and they are well established in the counties south of the Forth and the Clyde. Its area also extends to and includes Notts and Staffordshire, where it abuts on the area of Gibbs. The distribution of these two names in England affords a remarkable example of the separate occupation by two similar names, or more correctly speaking, by two forms of the same name, of two contiguous but distinct regions. Derbyshire, which is on the neutral ground between the northern area of the Gibsons and the southern area of the Gibbses, possesses both names, but in no great numbers”. The earliest known bearer of this surname was Henry Gibsone, who was documented in the Records of the Borough of Nottinghamshire in 1311 AD. Johun Gibson surrendered the Castle of Rothesay in Scotland in 1335 AD. Thomas Gibbeson was charged with breaking of parole in 1358 AD. Early marriages involving this surname include Jane Gibson to Robitus Edwards at St. Martin in the Fields, Westminster, London in 1551 AD and Edward Gibson to Alice Person at St. Paul’s in 1581 AD. An early baptism involving this name was Alice Gibson at St. Paul’s, Bedfordshire in 1574 AD. Lord Auslan Gib, formerly MacGilbert was born in Scotland in 1176 AD. This feudal lord had a son named Thomas (MacAuslan Gib) who was born in Scotland in 1201 AD. He died in the Holy Land while serving with the Knights Templar in the Seventh Crusade, leaving a son named Thomas. This Thomas was born in 1223 AD. Thomas in turn had a son named William, or Lord William Gibson, who was born in 1255 AD. He married Lady Beatrix Stewart and had issue with her. His son Henry was born in 1277 AD.This Lord Henry of Midlothian was knighted by King Robert I of Scotland for his skillful fighting against the English. He had a son named Johun who was born in Dumfries, Scotland in 1302 AD. 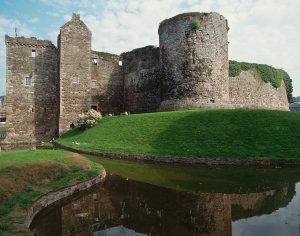 Lord Johun married Lady Margaret Kirkcaldy, the daughter of Lord William Kirkcaldy of County Fife, and he surrendered the Castle of Rothesay to the English during the Second War of Scottish Independence. He had a son named James. This James Gibson was born in Dumfries in 1336 AD. James married Lady Elizabeth Hay, daughter of Lord Alexander Hay of Dumfries, and he had a son with her named William. William was born in Scotland in 1358 AD. He in turn had a son named Thomas who was born in 1388. Lord Thomas married Lady Anne Baird, daughter of Lord Andrew Bird, and had a son with her named Alexander who was born in Dumfrieshire in 1421 AD. He had a son named Andrew who was born in Golingstones, Fife in 1442. He married Margaret Stirling and had a son with her named Thomas. This Sir Thomas Gibson was born in the same town in 1469 AD and he married Elizabeth Erskine, having four issue with her: George I, William, Andrew, and Thomas. The Gibson genealogy begins with Joseph Gibson of Barbon, who purchased Whelprigg in 1687. His second wife was Hannah Garnett of Bankhouse and he had several issue with her, including a son named Joseph. Joseph married Elizabeth Fowler of Barbon Beckfoot and had issue with her, including a son named James. 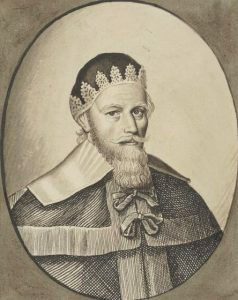 James Gibson of Fellgarthy married Mary, daughter of William Wilson of Leasgill, and had issue with her, including a son named William. 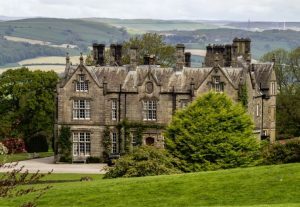 William of Gibson of Beckhead, Kirkby Lonsdale, married Margaret, daughter and heiress of John Wilson Robinson, and had issue with her. One of the sons of this marriage was Joseph, an Esquire of Whelprigg, who was born in 1805 and succeeded his father in 1833. He was a Justice of the Peace for county Westmorland, England and High Sheriff in 1863. In 1841, he married Anne, daughter of Reginald Remington of the Crowtrees, and he fathered five children with her: Joseph, Catherine, Margaret Anne, Mary Anne (married Henry Ernest Hollins of Pleasley, had sons Charles Ernest and Joseph), and Clara Maria. His son Joseph Gibson was an Esquire of Whelprigg, county Westmorland, England, a Justice of the Peace who was born in 1844 and succeeded his father in 1868. The Gibson Coat of Arms (erroneously called the Gibson Family Crest) is blazoned in heraldry as follows: Argent, three storks rising proper. Quartering: Godsalve of Rigmaden, and Mawdesley of Mawdesley. Crest: A stork rising proper. The lineage of this branch of the family tree begins with John Gibson, an Honorary Freeman of Glasgow, who married Hester, daughter and heir of Joseph Paradoe of Hailes Orchard, and had one child with him: a son named Thomas. This Thomas was an Esquire of Bradston Brook, in 1775, married Mary, daughter of John Bradburne of Hyde Abbey House, and had three issue with her: Emma, Mary Anne, and George. His son George John Gibson, Esquire of Sandgate Lodge, Sussex, England, was a Justice of the Peace and Deputy Lieutenant who, in 1812, married Eliza, daughter of Carew Elers of Gower Street, and had a son with her, also named George Carew. George Carew was of Bradston Brook and was a Justice of the Peace, Deputy Lieutenant, and High Sheriff for Sussex, England in 1855. In 1841, he married Eliza, daughter of Robert Pardoe of Park House, and had a son named George Carew and a daughter named Sidney Elizabeth. He later married Anna Maria Arabella, daughter of John Locker, and had two sons with her named Edwin Stillingfleet (1850) and Alfred Bradburne (1853). He assumed the additional surname of Carew in 1860. 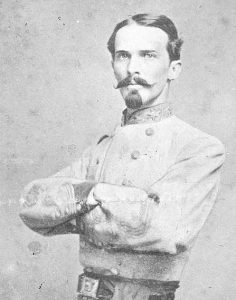 His son, George Carew Gibson, was an Esquire of Lodge, Sussex, was born in 1843, and became a Captain in the 8th Sussex Rifle Volunteers, who in 1806, married Emily, daughter of Reverend George Palmer, and had a son with her named John George, born in 1866. The Gibson Coat of Arms (sometimes mistakenly called the Gibson Family Shield) is blazoned in heraldry as follows: Gules, three keys fessways in pale or, in chief a portcullis of the last. Crest: A pelican vulning herself and feeding her young proper gorged with a mural crown or. Motto: Coelester pandite portae. John Charles Hope Gibsone was an Esquire of Pentland and a Lieutenant General of in army, once a Lieutenant Colonel of the 7th Dragoon Guards, was born in 1810. He was also a Justice of the Peace and Deputy Lieutenant. In 1835, he married Jane Louisa, daughter of Hugh Saye Bringloe of Edinburgh, and had five issue with her: John (Captain 17th Lancers, married Mary Anne Hallet), Hugh Francis Hacket (Captain 73rd Regiment), Helen (married G. Ashby Ashby of Naseby), Jane Louisa Hope, and Henrietta Anderson. 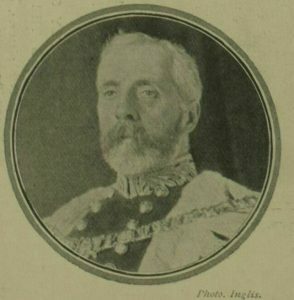 He was the son of Major General David Anderson Gibsone and Helen Gibsone (daughter of Sir John Gibsone, Baronet of Pentland). The Baronetcy (Nova Scotia, 1628) devolved to his brother and eventually passed to Sir Thomas Gibson-Carmichael, Baronet of Skirling in county Peebles. The Gibsone Arms has the following heraldic blazon: Gules, three keys fessways in pale or, a border vair. Crest: A pelican in her nest and feeding her young proper. The lineage of this family begins with John Gibson of Garnet Hill, Glasgow, a manufacture and merchant who died in 1831, leaving issue. His youngest son was Thomas, who was born in 1816 and lived in Argentina. 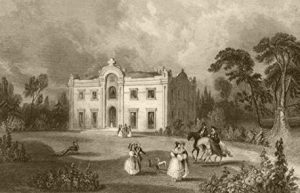 In 1854, he married Clementia, daughter of William Corbett, and had issue with her, including Sir Herbert Gibson, 1st Baronet, a landowner, merchant, and livestock breeder in Argentina. He was born in 1863 and was created a Baronet in 1931. In 1895, he married Madeleine Jessie, daughter of Reverend W.J. Savell of St. Clements Dane, and he had four children with her: Sir Christopher Herbert (2nd Baronet), Clement Herbert (married Marjorie Julia Anderson), Gerald Herbert (married Ursula Marion Wilson, daughter of William Greenwell Robson), and Cosmo Livingstone Herbert (married Josephine Austin, daughter of James Austin Brown). Walter Gibson, age 25, came to the Barbados in the Peter Bonaventure in 1635. Ann Gibson, age 34, came to New England aboard the Suzan & Ellin in 1635. Nicholas Gibson, age 22, came to Virginia aboard the Assurance in July 1635. Yeoman Gibson, age 16, came to Virginia aboard the Elizabeth in August 1635. Joseph Gibson, age 30, came to Virginia aboard the Safety in August 1635. William Gibson, age 19, came to the Barbados in the Expedition in November 1635. Richard Gibson, age 25, came to the Barbados in the Expedition in November 1635. Francis Gibson was recorded as living in Virginia in February 1623. 1) Christopher Gibson, a soap boiler, or Dorchester, 1630, came in the Mary and John, married Margaret, daughter of James Bates, moved to Boston, and was one of the founders of the 2nd charter. 3) John Gibson of Watertown, in 1680, married Hannah, daughter of Joseph Underwood, had daughters named Silence and Mary in 1680 and 1682, respectively. 4) Roger Gibson of New London, 1675, likely to have been from Rhode Island, had a son named William and a daughter named Thankful (who married George Smith in 1682). 5) William Gibson of Boston, 1665, or Lynn, Massachusetts, who was a cordwainer, and perhaps a gifted preacher, had sons Purchas and Aquila. Other early settlers in colonial America bearing this surname include Francis Gibson (Jamestown, Virginia, 1624), Anne Gibson (Virginia 1701), Amy Gibson (Virginia 1705), Eliza Gibson (Virginia 1714), Charles Gibson (Virginia 1718), and Abel Gibson (Virginia 1746). In Canada, one of the first bearers with this last name was Jane Gibson, who came to Pictou, Nova Scotia in 1773. In Australia, one of the first settlers with this surname was William Gibson, a convict from Buckinghamshire, who came to Van Diemen’s Land (modern day Tasmania) in 1834 aboard the Arab. In New Zealand, one of the first bearers was Lewis Gibson, a 24 year old farmer, who came to the city of Wellington aboard the Catherine Stewart Forbes in 1841. 1) John Gibson of Cambridge, Massachusetts, 1634. Quarerly: 1st and 4th: Gules, a stork between three crescents argent. 2nd and 3rd: Argent, a chevron between three mullets sable. Crest: On an embattled tower a stork rising gules beaked and membered or. 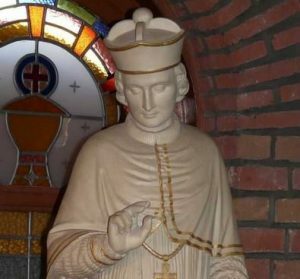 Motto: Cassis tutissma virtus. 2) Charles Hammond Gibson, Esquire of Boston, Massachusetts, bore the same arms as John of Cambridge. 1) John Gibson of Cambridge, MA, 1634, who died in 1694 at the age of 93. Gules, a stork between three crescents, quartering Davis. Crest: On an embattled tower a stork rising gules, beaked and membered or. Charles Bolton’s American Armory (1927) does not contain an entry for this last name. There are hundreds of notable people with the Gibson surname. This page will mention a handful. Famous people with this last name include: 1) Kirk Harold Gibson (1957) was an American baseball player and manager born in Pontiac Michigan who played for five different MLB teams, but spent most of his career with the Detroit Tigers, 2) Mel Colmcille Gerard Gibson (1956) who is an Australian-American actor and filmmaker known for various films such as Lethal Weapon, The Passion of the Christ, Braveheart, Apocalypto, and The Patriot, 3) Randall Lee Gibson (1832-1892) who was a United States Senator from Louisiana from 1883-1892 who was previously a member of the U.S. House of Representatives and a brigadier general in the Confederate Army during the American Civil War, 4) William Harvey Gibson (1821-1894) who was the 9th Ohio State Treasurer and Brigadier General in the Union Army, 5) William Gibson (1868-1942) who was the 2nd Baron Ashbourne, 6) Walter Murray Gibson (1822-1888) who was an American adventurer and minister to the Kingdom of Hawaii, as well as Prime Minister of Hawaii in 1886, and is thought by some to have been born in England, 7) Leah Diane Gibson (1985) who is a Canadian movie and TV actress from Victoria, British Columbia, 8) Michael Gibson (1906-1940) who was a soldier in the British Army during World War II, posthumously awarded the George Cross, for defusing a large bomb in Coventry, 9) Kelly Gibson (1964) who was professional golfer born in New Orleans, Louisiana, who played on the PGA Tour, 10) Hilda Kaye Gibson (1925-2013) who was a member of the Women’s Land Army during WW2, born in Blackpool, England, and 11) Guy Penrose Gibson (1918-1944) who was a Wing Commander in the British Royal Air Force, born in Simla, British India, who fought in the Second World War and received a Victoria Cross. The three main symbols depicted in the Gibson Coat of Arms (erroneously called the Gibson Family Crest) are the stork, key, and fret. Birds of great variety occur throughout heraldry, at least in name. In truth, despite the proliferation of species, the actual depictions can sometimes be hard to distinguish! The crane, heron and stork are commonly to be found on a coat of arms but all tend to share the same stylised appearance. Guillim reckons the stork to the “emblem of filial duty” and also the “symbol of a grateful man”. Although we expect to find fierce creatures and fearsome weapons depicted in a coat of arms this is not always the case – sometimes simple household objects are used. The key is a typical example of this. Sometimes these objects were chosen for the familiarity they would have for the obsever, helping them identify the owner, and sometimes they were used because of some association with the owner, or a similarity to the family name. In other cases, Wade suggests that their appearance can be taken to indicate “guardianship and dominion”. I descend from the Gibson’s from Scotland. My 3rd great grandmother was Isabella Gibson, her father was William Gibson (possibly William David Gibson). From what I know is that he had 7 daughters. Elizabeth, Isabella , Mary Jane Gibson are the only 3 that I know of. They left Scotland (not sure why) to the Cayman Islands then arrived in Roatan, Bay Islands around 1845. They founded Gibson Bight in Roatan. Queen Victoria signed a decree and Elizabeth Gibson is on it. Isabella Gibson married Manerson Connor (from the Cayman Is) And Elizabeth Gibson married Thomas Berry Connor. The two sister’s married the two brothers. Mary Jane Gibson married a man with the last name Howell from Utila, Bay islands. Looking for my ancestors has been so frustrating. They have very common names and there is not much information that I have found online.